Tesco has sealed a buying alliance with French rival Carrefour to pursue better terms with suppliers as the retailers face tough competition in the grocery sector. Britain’s biggest supermarket chain said the long-term partnership with Carrefour would come into force in October, helping the pair to reduce the cost of their supply. They aim to cut prices for customers by joining forces to buy branded and own-brand products and other suppliers such as trollies and shop fittings. The three-year deal has been prompted by increased competition in Britain’s £200bn year food market. Amazon is threatening to expand its food business after buying Whole Foods last year, while German discounter Aldi and Lidl continue snap up market share from the traditional players. Tesco has already sought to strengthen its supply chain through a £3.7bn takeover of wholesaler Booker and is said to be exploring the launch of budget supermarket chain called Jack’s. It is reportedly looking at launching between 30 and 60 discount stores by as early as September this year. Meanwhile, Sainsbury’s and Asda are looking to push through a £15bn mega merger, in a move that would push Tesco out of the top spot as the largest player in the UK grocery market. The deal aims to offer customers a 10 pct price cut on everyday items by targeting improved terms with multi-national suppliers such as Procter & Gamble and Unilever. Carrefour is larger than Tesco, with 12,300 stores in 30 countries as far and wide as Argentina and China. The two retail giants have combined revenues of £140bn. The purchasing alliance follows a similar arrangement between French chains Casino, Auchan and Schieve, and Germany’s Metro. 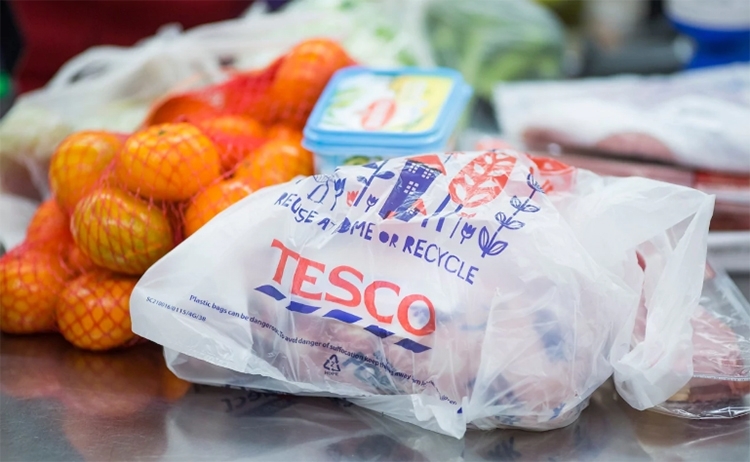 Tesco announced in June that group like-for-like sales, which strip out new shops, rose 1.8 pct in the 13 weeks to May 26, marking a tenth consecutive quarter of growth. Earlier this year the company announced the closure of Tesco Direct, its digital non-grocery business rivalling Amazon, which allows third parties to sell goods through Tesco online. Shares in Tesco were up 0.3 pct to 260p in morning trading.